Your station transformation is close to completion. The new station building won an Urban Design Award in June, while enhancements to the Kiss & Ride and parking lot are making it easier for you to get in and out of the station whether you’re walking or driving. We’ll be paving the platforms and landscaping around the station building through fall and winter 2018, and expect construction to wrap up by spring 2019. To get timely construction and service updates by email or text, sign up for On the GO alerts and follow us on Twitter at @GOtransitLE. 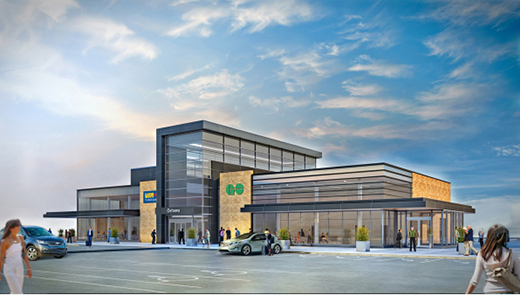 Click here to learn more about GO’s expansion to Bowmanville.